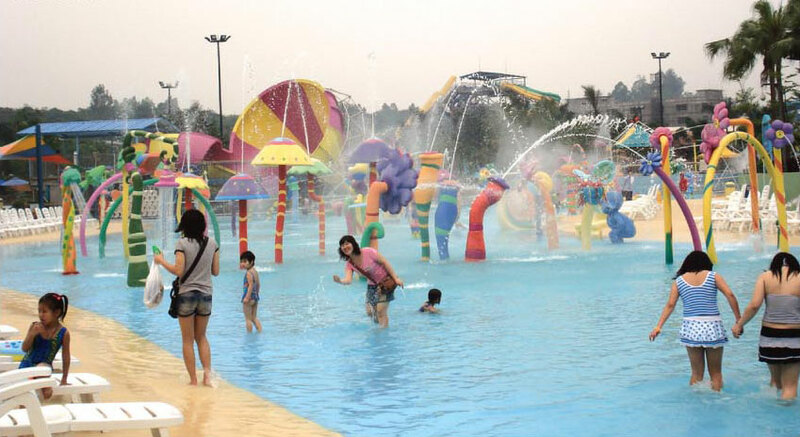 Pune is one of the top cities in India to live and enjoy your lives if you are a fun loving person. 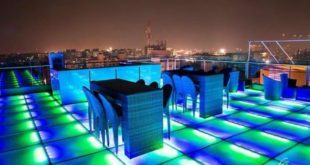 If you are a party animal, young at heart, love the groovy music, the scintillating lights, the dance floors, love your food and late night drinks, the nightclubs, then the most happening ones are in Pune. This is the only standalone bar in Pune and is definitely the largest in the City. You name it and you get it- all may it be drinks or fulfilling your culinary. With its breathtaking, cool, trendy and luxurious interiors you will die to visit it again and again. With rooftop, live music, dance floor, private dining, wine, pubs and lounge it is one of the best bars in the city which serves you the best food and is open late night. Situated in Viman Nagar with a cost of Rs.1500/- to Rs.2000/- for two you can book your table at – 9036090132. Address : 9th Floor, Sky Vista Building, New Airport Rd, Viman Nagar, Pune, Maharashtra 411014. Looking for the Caribbean, or Italian, and a Mediterranean cuisine with your drink, Swig is the answer to all these in the city. With a Jazzy and urban interior Swig serves you exotic cocktails and mocktails. With a capacity of 65, this lounge plays a great DJ. Unlimited food and IMPL package at only Rs.1500/-, all inclusive, for two makes it the Bar to hang out with friends. 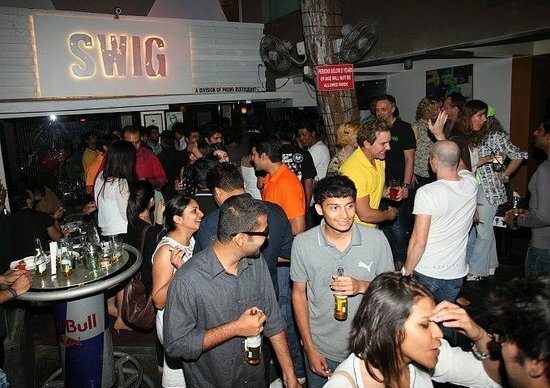 Get in touch with Swig, Koregaon park, at – +919960466417/+912026150082. Address : Opposite North Main Road, 28/2, Lane Number 3, Koregaon Park, Pune, Maharashtra 411001. 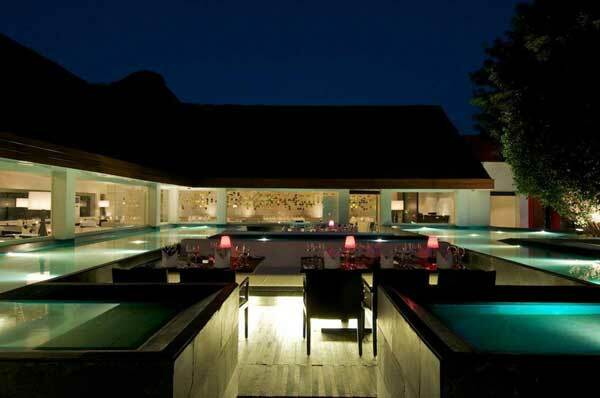 Longing for a romantic, rooftop, dining with Indian and Mughlai delicacies, and then retreat to cocktails with friends- Paasha JW Marriott Pune is the place. You enjoy candlelight dinner, on the rooftop; get the perfect view of Pune from the top with music playing in the backdrop. The cost for two is Rs.1500/- to Rs.2000/-. Book yourself a table at – +912066833333/+912066832345. Address : JW Marriott Hotel, Senapati Bapat Road, Pune, Maharashtra 411053. 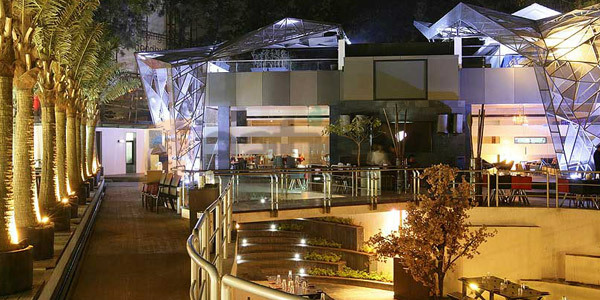 Situated next to the Mula Mutha River in Pune Stone water presents you a fifty-foot bar. Unparallel ambiance, fine contemporary European food, and an innovative cocktail with open air seating surrounded by water, and a bar near trees. Situated at Pyramid Complex Koregaon the cost for two are Rs.2000/-. Contact details are – 02067251000. Address : 81/82, Pyramid Complex, North Main Road, Koregaon Park, Pune, Maharashtra 411036. 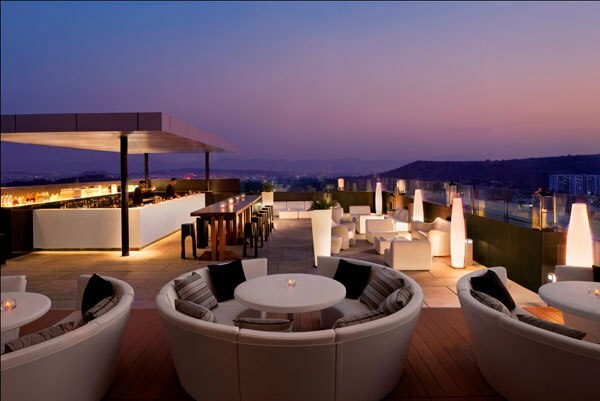 Next to Westin Hotel Pune the latest and the trendiest lounge bar, Penthouze Nightlife, is the perfect late night bar to enjoy your cocktails. The cost of two starts from rs.750/- to Rs.1000/-. Contact details are – +919822407379. Address : Kavadewadi, Koregaon Park, Pune, Maharashtra 411001. If you want to meet your friends and grab handcrafted martinis, mojitos and cocktails, overlooking a river Mix@36 is the place. Great place to sit along with your colleagues and enjoy the extensive range of drinks and discuss the moving night go by. With private dining, valet parking and late night open the cost for two people is Rs.1500/- to Rs.2000/- and can book your table at -+919036090132. Mix@36 is in Westin Hotel, Mundhawa Road, Ghorpadi Pune. Address : 36/3-B, Koregaon Park Annexe, Mundhwa Road, Ghorpadi, Pune, Maharashtra 411001. 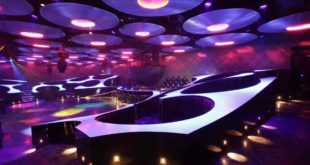 The India’s largest 360-degree revolving, space ship shaped discotheque lets you swing your body to the hi-tech beat of the awesome mixing DJ. 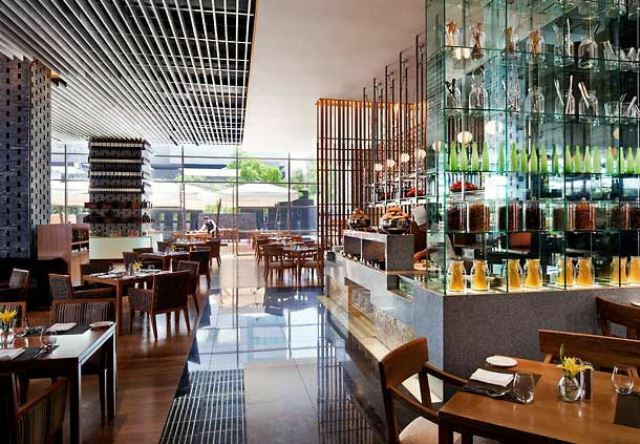 The Jazzy and superbly modern design makes it the perfect place to party and enjoy your food and drinks. It has a variety of Chinese, Indian and Continental cuisine to choose from. At Pancard Clubs, Baner Hills this club, Ladies entry is free, entry for a couple is Rs.1000/-.For more information and booking call at +919822511688. Address : Village Hills, Javahar, Taluka Haveli, Baner Gaon, Baner, Pune, Maharashtra 411045. Situated in Koregaon Park extension Pune, and cost for two is Rs.2500/-, this place is not to be missed by anybody who loves to party hard. It is spread in 8500 square foot area with retail outlet situated ideally near luxury hotels and offers excellent American cuisine. It has 120 seat restaurant, bar, and open courtyard. Serves food and plays mind blowing music. Address : Plot No. 81/82, East Main Road, Koregaon Park Extension, Pune, Maharashtra 411036. 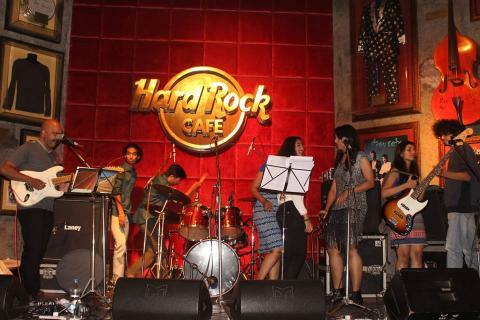 Looking for a wild night in a bar with friends, music, food and drinks then Blue Frog offers you unique space, amazing audio, quality live music. It is one of the premiere live music performance clubs in the city. Situated at Ishanya Mall, Yerawada Pune. The night starts at 6 pm and ends at 1:30 am, cost Rs.2400/- for two. It is also available for any event like a birthday party, Weddings and Anniversaries. For more information call at – 02040054002. Address : Ishanya Mall, Arcade 6, Opp. Golf Course, Off Airport Road, Yerwada, Pune, Maharashtra 411006. Situated at Mundhwa Road Koregaon this outdoor club offers you Palm Groove restaurant which allows you to be with everyone yet remain private. Enjoy your stimulating drink and food which enthralls your palette at a cost of Rs.2000/- for two. More details available at – 02040477777. Address : 81/1, Mundhwa, Koregaon Park Annex, Opp Satellite Towers, Pune, Maharashtra 411036. 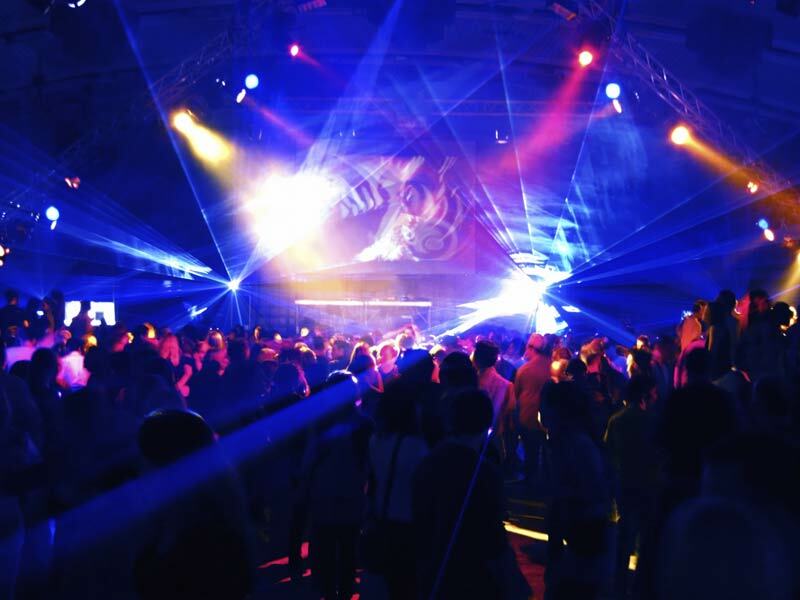 Finished with your work, business, and visit historical places in and around Pune then is the time to visit the happening night clubs available in the city. 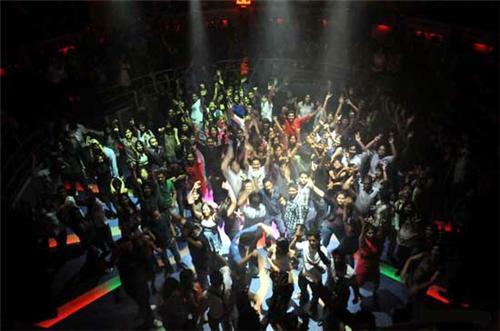 To end your day or trip, on a relaxing mood yet making it so happening and fun filled is only possible in the night clubs of Pune.